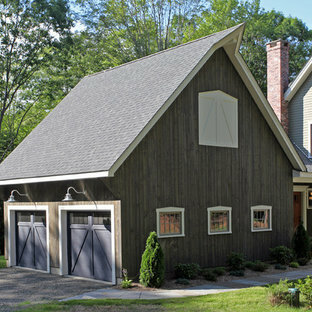 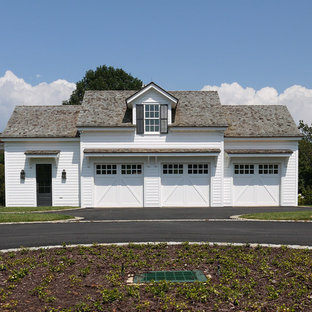 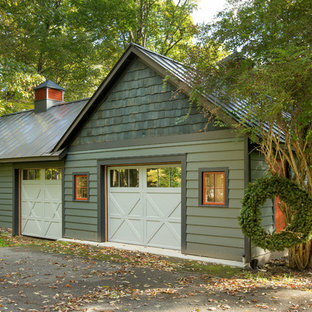 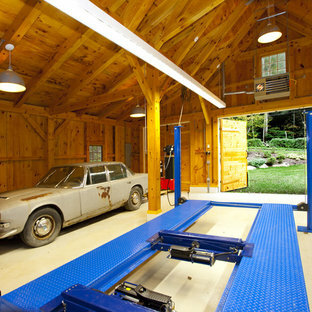 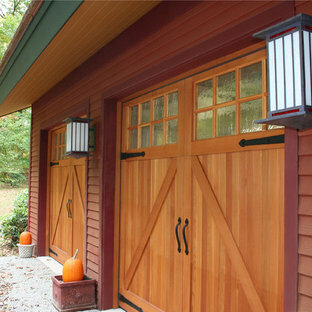 The renovated garage designed with Arts & Crafts elements. 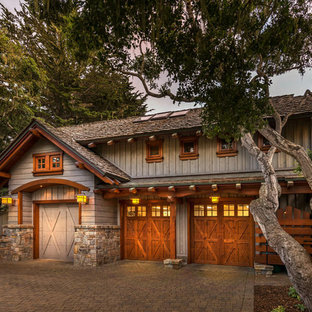 Av Bruce Olson Construction, Inc.
Av South County Post & Beam, Inc.
Sited on a forested hillside overlooking the city and Lake, this Northwest style craftsman mountain home has a matching detached Garage with apartment above. 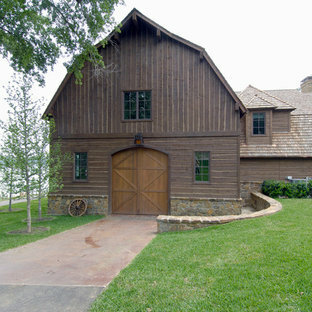 Natural landscaping and stamped concrete patios provide nice outdoor living spaces. 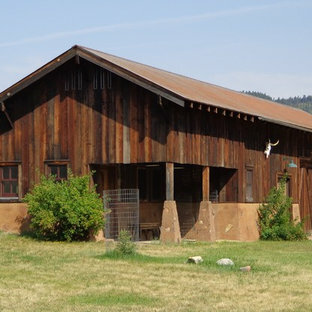 Cedar siding is complemented by rusted corrugated wainscot and roofing , which help protect the exterior from harsh North Idaho winters. 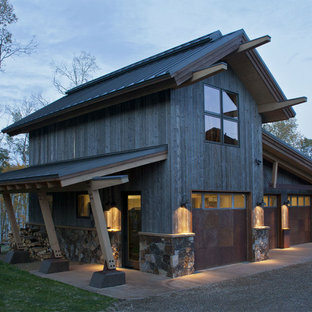 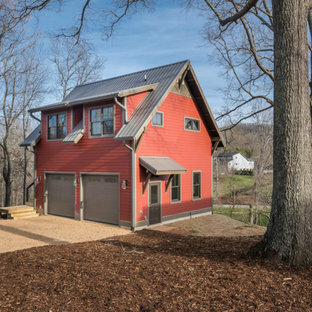 Native materials, timber accents and exposed rafters add to the rustic charm and curb appeal.